Chittenden Regional Correctional Facility is Vermont's only women's prison. In Vermont, gender-informed practices have been integral to the system ever since the state built its first women-only prison in 2000, according to Jennifer Sprafke, assistant superintendent of the Chittenden Regional Correctional Facility. She says Vermont is the only state where corrections are part of the Department of Human Services, which inherently means a less punitive, more rehabilitative approach. And with fewer than 200 women incarcerated statewide, Vermont doesn’t face the same challenges that larger systems like Illinois do. In Vermont as in other states, women receive disciplinary tickets for minor infractions at higher rates than men. For example, female inmates on average were more than three times as likely to receive a ticket for “making a derogatory comment” in 2016 and 2017. Under state policy, men and women are supposed to receive the same sanctions for the same infractions, Sprafke said. But officers at the women’s prison try to institute sanctions in ways that are tailored to women’s needs and behavior. For example, locking an inmate in their cell is a common punishment. 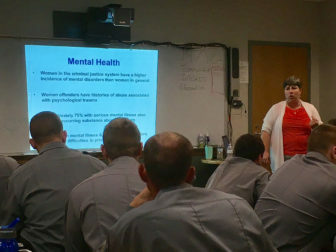 Jen Sprafke trains new VDOC recruits on women inmates’ unique mental health needs. Vermont correctional staff training includes a session on the pathways that lead women to prison, and a full week on advanced communications skills. The training includes role-playing scenarios where officers deal with women breaking rules, for example not wearing a bra when outside their cell. The officer needs to demand the woman wear a bra without making her feel he is staring at her breasts, Sprafke explained. While the communications training is relevant for male and female inmates, it is especially necessary given how many women inmates react to authority. “If you tell them they can’t go somewhere, they have never wanted to go anywhere more. And women will fight tooth and nail, even if they don’t want it anymore,” she said. Still, it remains a challenge to fully change staff culture. 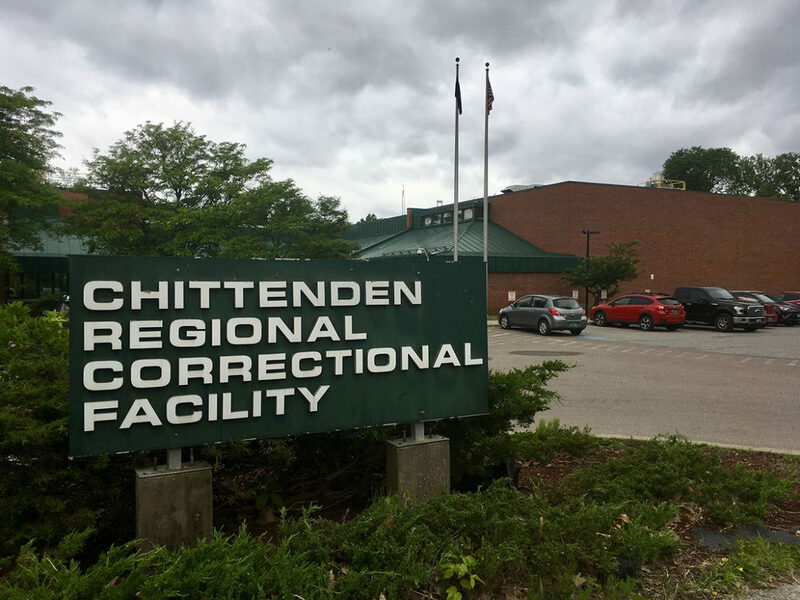 Shift supervisor Adam Bundie, who oversees corrections officers in Chittenden, said some staff still prefer to work with men rather than women. Kim Bushey is the department’s director of program services, which include a program to help women deal with domestic violence, and one to help them parent their kids while incarcerated. Bushey says these programs help reduce disciplinary violations, as does Vermont’s “direct supervision” model, which means the same officer is assigned to a given unit every day, and expected to interact with the inmates. For Sprafke, it all comes back to respect. Sprafke is intimately involved with the day-to-day lives of the women in her care. In fact, she’s such a presence in her building that the inmates gave her a nickname: Sparkles. That’s how a group of women greeted Sprafke when she approached them with an idea.